Villa, St. Vincent and the Grenadines (27th March 2018) â€“ The Government of St. Vincent and the Grenadines, in collaboration with the Caribbean Telecommunications Union, hosted ICT Week – St. Vincent and the Grenadines from 19th to 23rd March 2018 at Beachcombers Hotel in St. Vincent. The Week had as its theme 21st Century Government. The Caribbean is still struggling to get on the road to 21st Century Government i.e. citizen centric, seamless Government powered by information and communications technology (ICT). While many other countries have successfully implemented e-Government and indeed are now enhancing their models adopted even before the dawn of the 21st Century, most of the Caribbean is still contemplating transitioning to e-government services. When viewed as a collective, most regional governments continue to operate in silos within individual ministries, as well as nationally. To catch up with the rest of the world and compete globally, the Caribbean must work, not as individual states, but as a collective front. Even though many countries in the region are at varying stages of technological advancement, more can be done to find solutions to the issues that are plaguing us and to support each other in the thrust to implementing streamlined e-Government services. During his keynote address at the 36th Executive Council Meeting, Hon. Camillo Gonzalves, Minister of Finance, Economic Planning, Sustainable Development and Information Technology, St. Vincent and the Grenadines, emphasised that this meeting is the platform to formulate a regional strategy that would propel the region to achieving 21st Century Government status. In the thrust to accelerate the implementation of 21st Century Government services, the 21st Century Government Workshop, one of the activities that took place during ICT Week, was designed to review the policy and planning framework and assess the current state of digital government in St. Vincent and the Grenadines. Led by CTUâ€™s ICT Consultant, Gary Kalloo, and Ernst and Youngâ€™s Executive Director and Caribbean Lead, Government and Public Sector, Devindra Ramnarine, this interactive, informative and educative Workshop dealt with five critical aspects: creating the enabling environment, building the infrastructure, digitizing the landscape, protecting the future and financing the vision. Status data for the five components had been obtained by information gathered through a questionnaire previously distributed to technocrats and government representatives in St. Vincent and the Grenadines. The workshop served to validate this information vis-a-vis the collective view of workshop participants to identify gaps in these areas and enable an assessment of the current state of 21st Century Government locally. 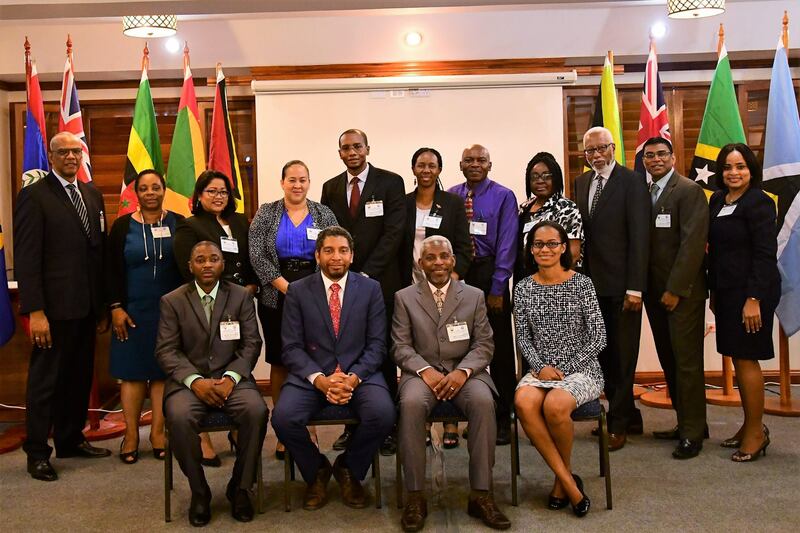 The Caribbean Telecommunications Union (CTU) is an inter-governmental organisation dedicated to supporting the development of the Caribbean information and communications technologies (ICT) sector. The CTU also coordinates ICT projects at the regional level; identifies and removes roadblocks to ICT development; keeps track of industry progress and responds to the needs of the ICT sector. The CTU strives to create a cohesive regional approach to advancing the Caribbean ICT agenda. The CTU is committed to ICT development that reaches the citizens of the region, creating affordable access to ICT and helping citizens to use ICT effectively to transform their lives.